Kolos has chosen to build its data centre there due to the chilled air and abundance of hydropower. The world's largest data centre is set to be built in the Arctic Circle. Kolos, the firm behind the project, has chosen the site, in the Norwegian town of Ballangen, due to the abundance of local hydropower and the chilled air which will help naturally keep the data centre's temperatures low. So far the US-Norwegian company has raised several million dollars to help fund the project from private investors in the country. 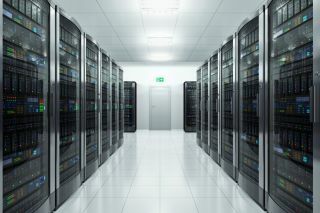 The data centre would initially draw 70 megawatts of power, but within a decade Kolos is planning to have enough server modules to draw over 1,000 MW. Although the firm has claimed that its data centre will be the world's largest, Amazon's data processing division is already estimated to draw around 1,000 MW of power in Ashburn, Virginia. Though its servers are spread out and not clustered together into a single data centre. As of now Kolos has the support of five local mayors and the company will have a meeting with Norway's climate and environment minister Vidar Helgesen later this week.